Bright Angel Sunset – North Rim – Pat Kofahl Photograph - Together, We Make Memories! 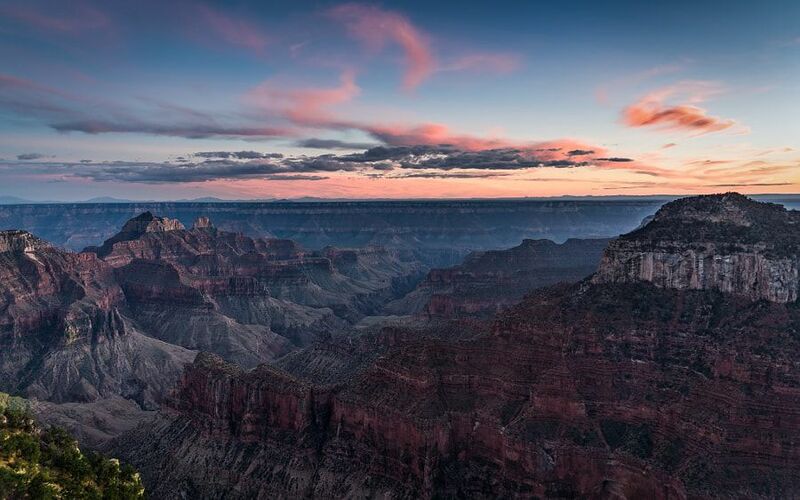 Sunset falls on the North Rim of the Grand Canyon, and Bright Angel Canyon, one of the main North-South routes to the South rim. It’s a badge of honor amongst hikers in the Southwest to have spent time “down in” at Phantom Ranch, or to traverse the canyon in a day, or even double up, going across and back.This fine art image by Pat Kofahl is available in multiple sizes on paper, canvas, metal and plexiglass. Prices start at $49.00!